1862 Journal page - mostly about her child losing his teeth and several Civil War battles. Jan. 17. Fred's [likely her son Fred Holbrook] 1st tooth. [Aug] 2nd battle Bull Run. joined the Dear old Chapel. More family records for the Goodhue, Clark and Armstrong surnames. Mary Brooks Goodhue, born in Germantown, Pa., March 23, 1893. Francis Goodhue, 3rd, born in Germantown, Pa., June 10, 1894. Wister Evans Goodhue born in Germantown, Pa., June 8, 1896. Elizabeth Evans Goodhue born in Germantown, Pa. Nov. 29, 1899. Anna Holbrook Clark (daughter of JK & Margaret Holbrook Clark) born at New York City Jan'y 19, 1904. John Kirkland Clark (son of JK & Margaret Holbrook Clark) born at New York City April 12, 1906. Percy Holbrook Armstrong, son of Edward C. & Emerline H. Armstrong born at Baltimore, Md. April 7, 1906. Here is page #3 from an 1820 journal written by my third great grandfather, Captain William Smith Brooks. You can find the second page of this diary here: Diary page 2. 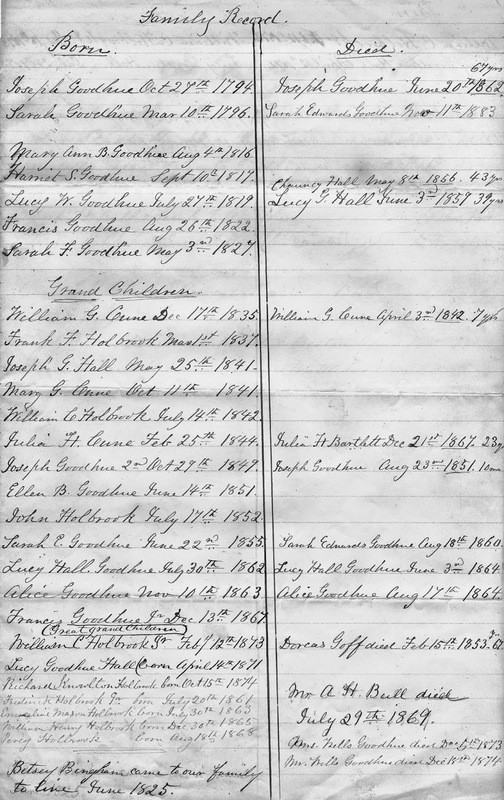 Here are more family marriage records for the Goodhue and Holbrook families. Other surnames include: Edwards, Cune, Hall, Brooks, Bull, Chapin, Nourse, Draper, Roberts, Bartlett, Chalmers, Kleek or Kleeck, and Evans. Unfortunately, I do not have definitive information on who prepared these family records, other than I found them in an envelope labeled "Genealogy Papers by Franklin Fessenden Holbrook, Mary Rogers Cabot, Frederick Cabot Holbrook and Aunt Lina [Emerline Mason Holbrook]". These documents were found in a storage room in an ancestral home located in Brattleboro, Vermont. Joseph Goodhue and Sarah Edwards, married in Northampton, Mass, Nov 2nd, 1815. William P. Cune and Mary Ann Goodhue, married in Brattleboro, Vt, Aug 25th 1834. Frederick Holbrook and Harriet S. Goodhue, married in Brattleboro, Vt, January 13, 1835. Chauncey A. 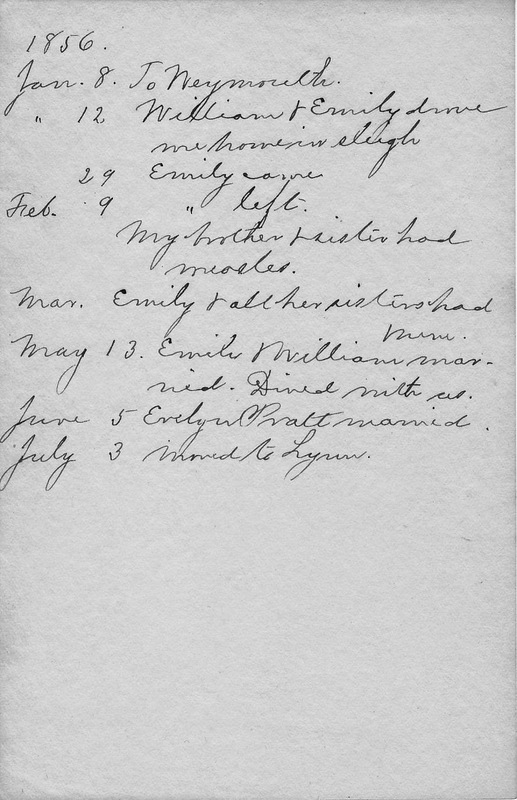 Hall and Lucy W. Goodhue, married in Brattleboro, Vt, December 12, 1838. Francis Goodhue and Mary E. Brooks, married in Brattleboro, Vt, October 26, 1847. Albert H. Bull and Sarah F. Goodhue, married in Brattleboro, Vt, November 14, 1849. 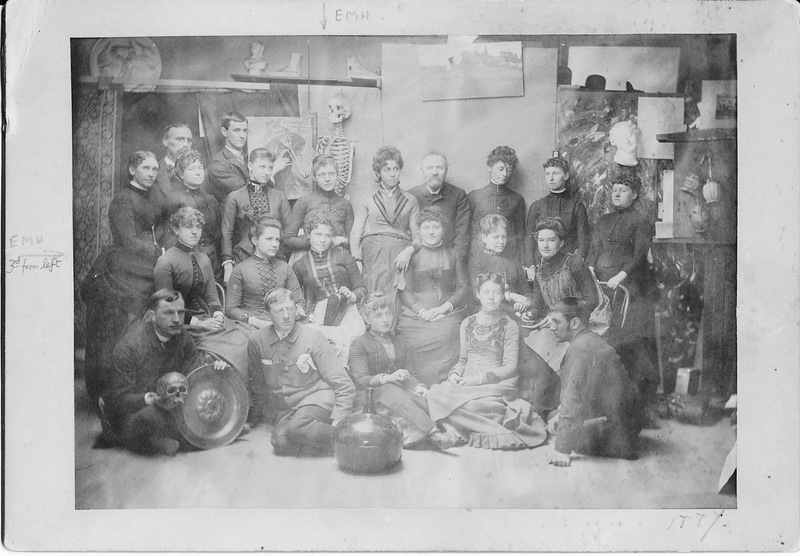 Dr. Edward R. Chapin and Sarah G. Bull, married in Brattleboro, Vt, November 12, 1873. Franklin F. Holbrook and Anna E. Nourse, married in Boston, Mass, May 17th, 1860. Frank E. Draper and Mary G. Cune, married in Brattleboro, Vt, Sept 17, 1863. Joseph G. Hall and Lizzie B. Roberts, married in Boston, Mass, April 17, 1867. William C. Bartlett and Julia H. Cune, married in Brattleboro, Vt, Nov 8, 1866. William C. Holbrook and Anna M. Chalmers, married in New York, N.Y. Jan'y 17, 1872. Francis Goodhue Jr. and Elizabeth Evans, married in Germantown, Pa, June 15, 1892. Frederick Holbrook 2nd and Grace Cabot, married in Bratto, Vt, Apr. 12/87. John Kirkland Clark and Margaret Chalmers Holbrook, married in New York City, June 15/03. Emerline Mason Holbrook and Edward Cook Armstrong, married in New York City, June 8, 1905. 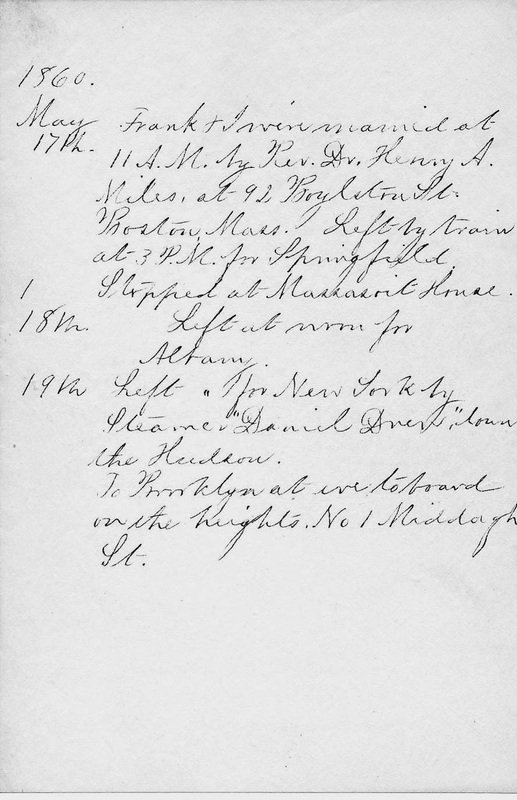 Here is page #2 from an 1820 journal written by my third great grandfather, Captain William Smith Brooks. You can find the first page of this diary here: Diary page 1. 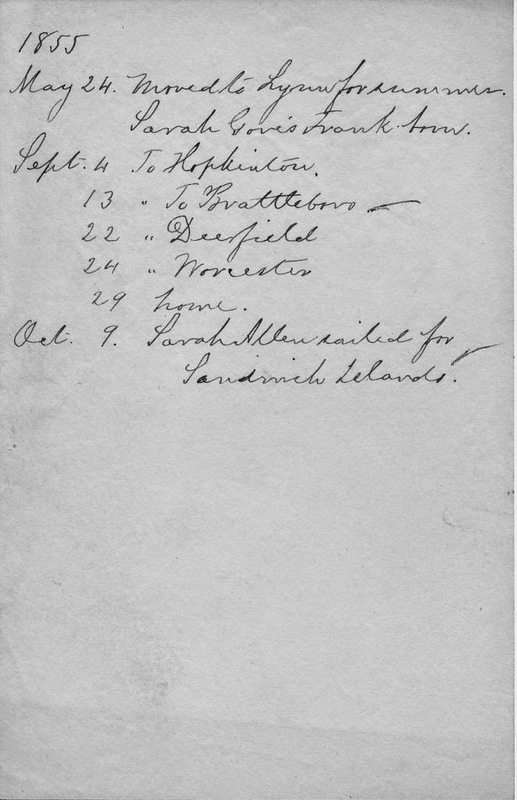 In this diary, he primarily lists the places he visited, boarded, ate meals etc, although in later pages he becomes a little more verbose in his descriptions. 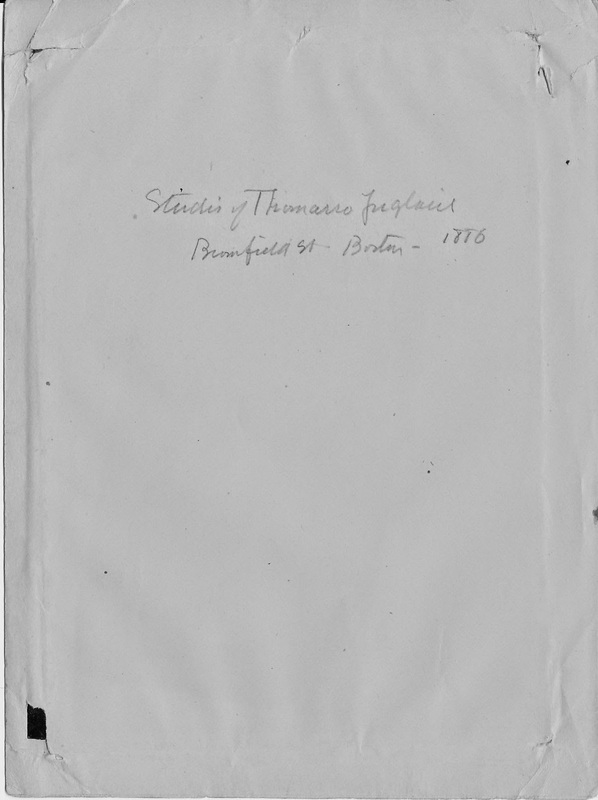 I've uncovered some family birth and death records for my ancestors who lived in Brattleboro, Vermont. 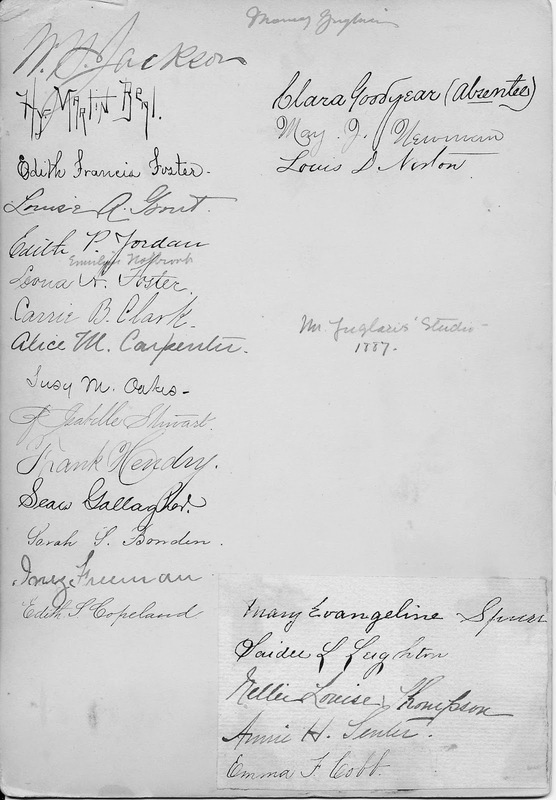 These are handwritten notes that are likely to have been written by Anna Elizabeth (Nourse) Holbrook (my second great grandmother) or her daughter, Emerline Mason (Holbrook) Armstrong. There is no date notation on when the records were originally recorded. Surnames in this record, include: Bartlett, Bingham, Bull, Cune, Goff, Goodhue, Hall, and Holbrook. 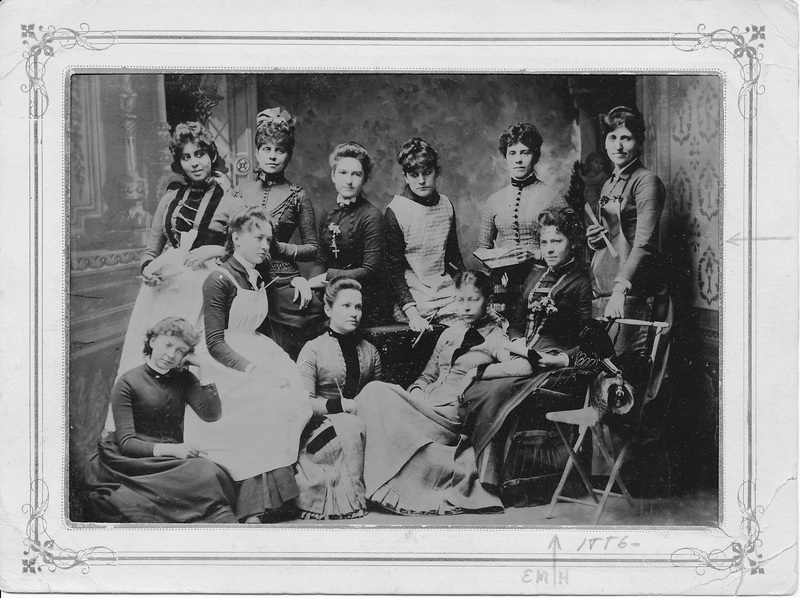 Source: Holbrook and Cabot Family Records. [Privately Held]. Genealogy Box #2 - Genealogy Papers by FFH, MRC, FCH, Aunt Lina. 1820 Journal page from my third great grandfather, Captain William Smith Brooks. "...and found good beds at every house & good Milk, and found the Bread either sour or musty. Butter good but too Salt."